For when you're overseas, but want to be close to home. Australia is well known for having some of the best dining in the world. Melbourne is a city where people happily spend an entire weekend rambling from restaurant to restaurant; from café to cocktail, on the hunt for a new favourite. 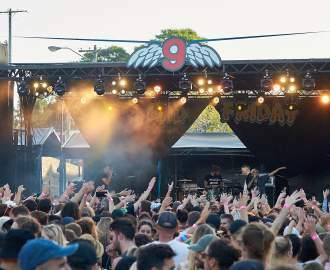 And in Sydney, whether your tastes run to Frankie's Pizza or are more on the Quay side of things, you'll find bountiful opportunity to explore this foodie mecca. It doesn't matter if you're in a major capital or dining at a hidden local gem, Aussie restaurants and cafes consistently turn out incredibly fresh, vibrant and exciting tucker — inspired by access to some of the finest meats, poultry, seafood and vegetables in the world. We have two restaurants among the Top 100 Restaurants in the world (tip your hats Attica; Brae) and Aussie coffee champ Sasa Sestic scooped the World Barista Championships in 2015. With such a heady mix of talent hailing from Australia, it makes sense that the rest of the world would want a slice of our home-grown cuisine and expertise. We've partnered with Expedia to take a jaunt around the world and explore some Australian-owned restaurants in far-flung locales. Perhaps they'll inspire your next trip — they're definitely worthy of one. 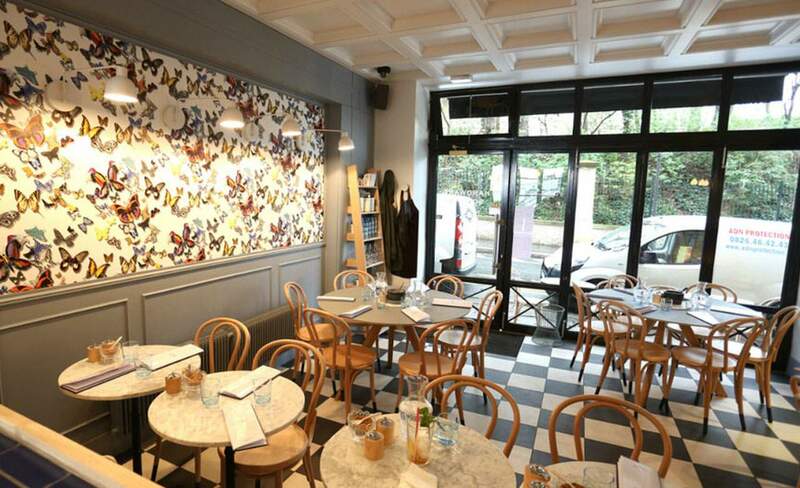 The much beloved breakfast and brunch spot of 120 Hardware Lane, Melbourne, opened up shop in Paris recently and has been providing homesick ex-pats and Parisians alike with their petit-déjeuner since late 2016. You can get your 64-degree eggs with delights like ham hock (18€) or über decadent lobster (20€) and enjoy a genuine Melbourne Padre latte to sip as you dine. Aussie visitors to Paris looking for a little taste of home, and Parisians looking for a slice of Melbourne breakfast culture, will both find what they're looking for here. Melbourne's long-beloved Carlton fave for wine lovers and good-time seekers has a new location. 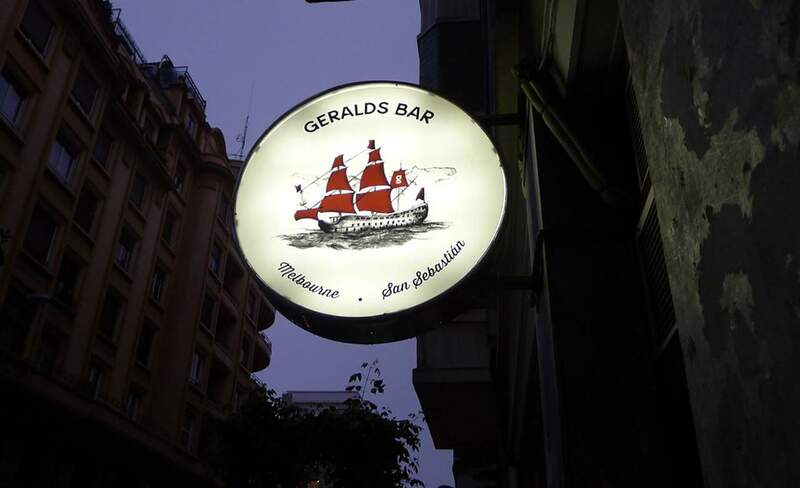 And while it's got that same Gerald's charm it's basically on the other side of the world; 17,195km away in San Sebastián, Spain. If it weren't for the fact that we have the original right here in Melbourne (thank the gods), we'd be on a plane right now for some of that exceptional wine and unbeatable Gerald's atmosphere. Eponymous proprietor, Gerald Diffey, took over an existing restaurant space in 2014 and gave it the Gerald's flourish. Now you can dine on mountain cheeses while sipping a curated list of local and international drops. If you're in San Sebastián it's a must-do. 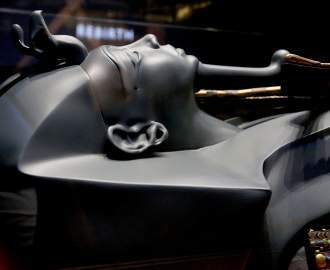 Visitors to Ruby's in NYC will be greeted by many things – tastes, smells, sights – but the first thing that may greet you on sighting Ruby's is a queue to get in the door. This decidedly bijoux eatery is so damn popular that people have no qualms about lining up just to take a seat inside. Enjoy nostalgic burgers like the Coogee ($12.50) with mushroom, romesco, cress, zucchini and goat's cheese; or tuck into the Whaleys ($13.50) and enjoy a classic Aussie burger complete with beetroot, pineapple and fried egg. Don't fancy a burger? No problem – order off the breakfast menu before 1pm on weekdays and 4pm on weekends. The breakfast bowl is particularly good. 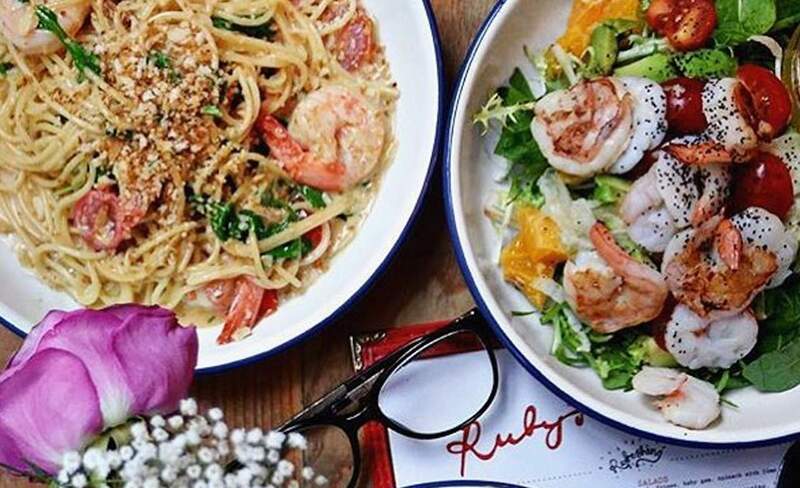 If you're homesick and abroad or just want to tuck into a seriously good meal in NYC, you'll find it at Ruby's. 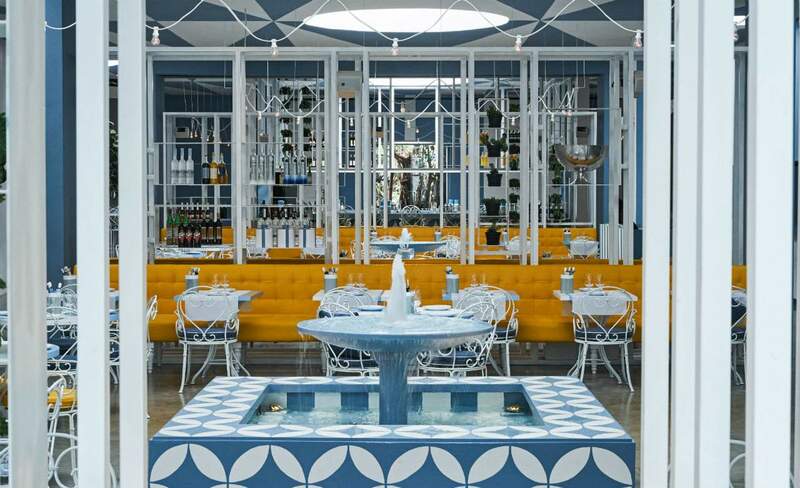 Undoubtedly set to be one of the hottest places to see and be seen in Bali, Da Maria is the latest venture for Sydney restaurateur Maurice Terzini. He's behind Sydney classic, Icebergs, and is set to provide Bali dwellers and visitors alike with North Bondi Italian food (the website says they're bringing the Amalfi Coast to Bali) in a luxe Canggu locale. 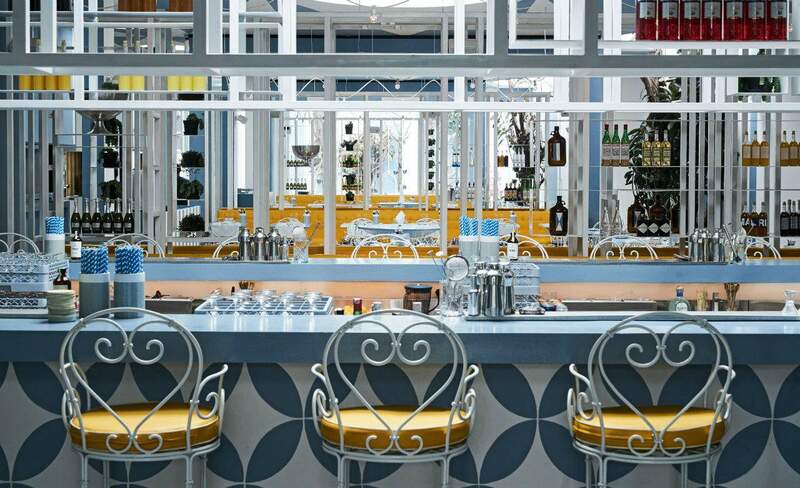 The venue has only just flung open its doors, and the tasteful interior and stunning luxe layout makes for the perfect spot to get a little bit fancy at dinner. Or, dance and drink the night away with DJs every evening from 10pm. If you're hungry at night they've got you covered with their delectable lava-oven baked pizzas available til late. 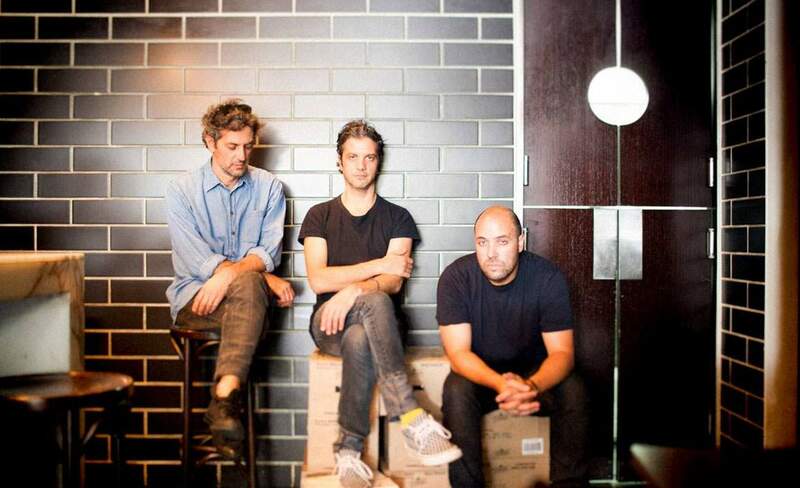 Aussies Eddy Buckingham and Jeff Lam set about with a single goal in mind: to modernise Chinese dining in NYC. Their pretty spectacular venue is housed in an ex-Chinese opera house and offers its diners a broad menu which has been carefully designed to tick all the boxes. There are traditional regional Chinese dishes on offer, creatively interspersed with exciting salads and flavoursome noodle dishes. 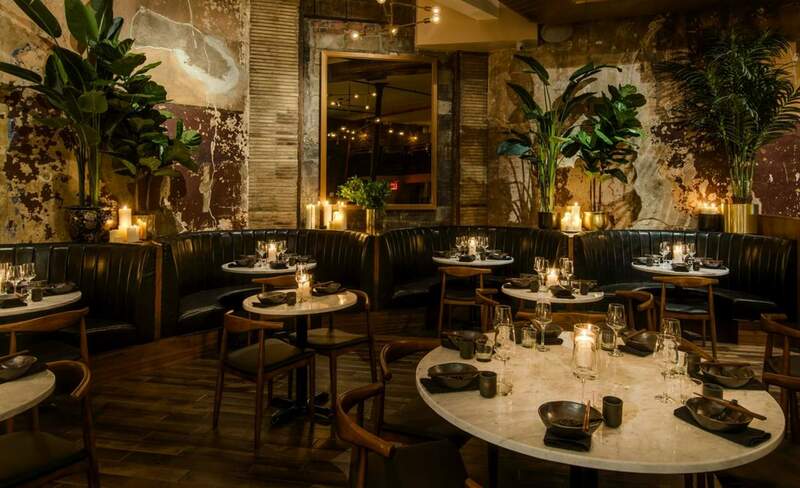 They look set to make their mark on an exciting space, with the hope being that they'll be the go-to for high-end Chinese dining in NYC. Buckingham and Lam say that at Chinese Tuxedo the food speaks for them, so if you're in New York City we recommend you go and listen. This industrial-chic Sydney café spread its wings to LA recently, opening up a similarly bright and airy cafe in the style of its Surry Hills sister venue, in late 2015. Los Angeles diners choose from a range of 'things on toast': soft scram ($11), avocado ($12) or local burrata ($14) – to name but a few; or other ubiquitous Aussie breakfast staples. Milkshakes run from the standard (vanilla malt, $7) to the downright awesome/weird (vegemite and butterscotch, $7) and you can rest assured that the hot drinks menu is just as impressive as the food. Discerning coffee drinkers have a veritable slew of Australian brews and other hot and cold options on offer. 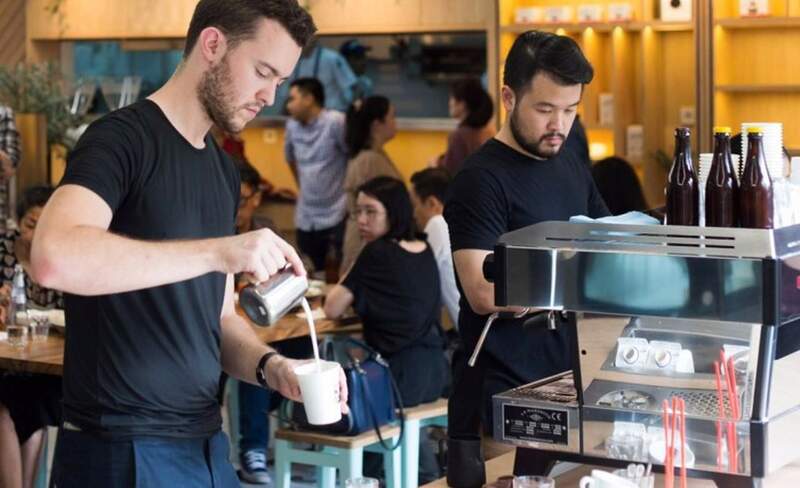 The much-beloved Melbourne coffee spot and all-round brunch star, St Ali, recently exploded into Jakarta and has been making diners happy with their Melbourne-style menu. Feast on the smoked salmon omelette with a cup of their delightful coffee, or tempt yourself with a matcha chai parfait as part of your 'clean eating' kick. It won't last long when there are treats like fried chicken and slaw on offer as well, but you can try. Next time you're in the Indonesian capital be sure to pop by for a coffee at St Ali's new venue – in partnership with Indonesia's Common Grounds Roastery – to get a look in at this stunning spot. Greek food and Japan aren't usually two things that would spring to your mind at the same time. But then, you were probably thinking of The Apollo — the contemporary Greek restaurant that opened in Ginza in the middle of 2016 — weren't you? The star of Sydney's modern Greek scene, The Apollo, has landed bringing the same beloved, succulent, smoky flavours of Greek cooking to the heart of Tokyo. Choose from lemony pan-fried saganaki, or dine on meltingly tender ten-hour slow-cooked Aussie lamb. 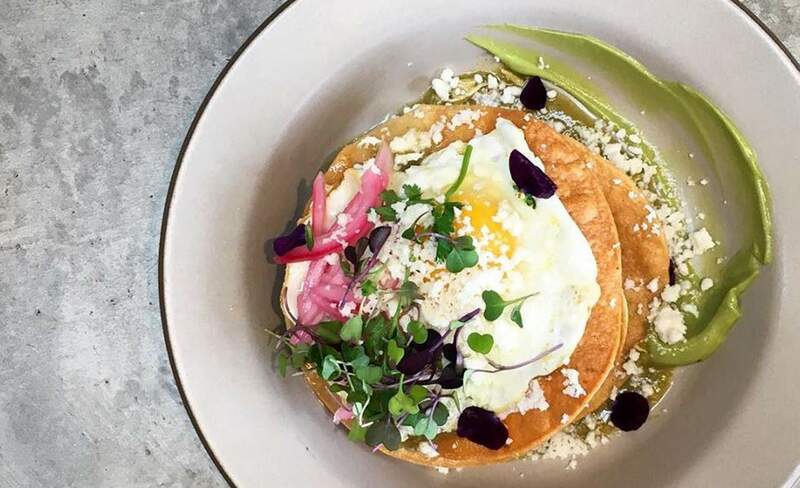 Best to book — this is a popular spot with ex-pats and locals alike. One of Sydney's most beloved haunts for fine Italian food is getting a new venue mid next year in a very special location: Tokyo. 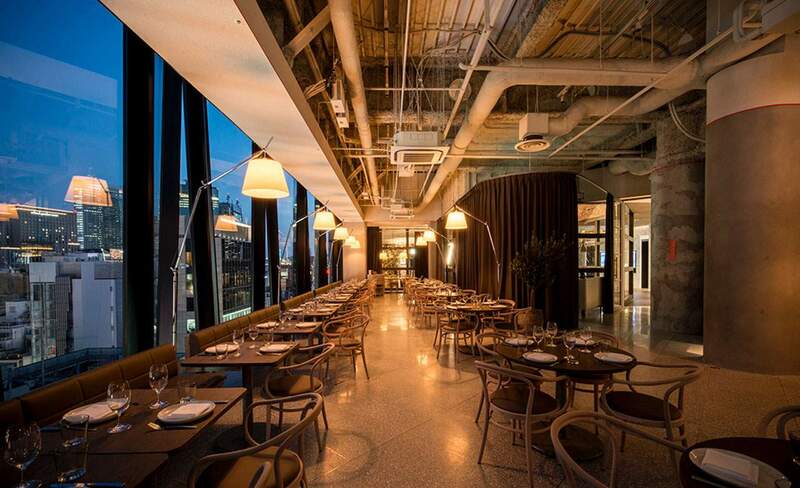 Owner Giovanni Paradiso decided on Japan as the spot for his expansion after exploring the idea of another venue in Sydney or Melbourne and realising that Japan ticked all the boxes. His new 90-seat venue is on track to open its doors in late April 2017. Toshi Nakayasu will helm the kitchen as head chef and will be offering familiar Italian classics as well as special local dishes too. The wine will be sourced from around the world and will be heavily based on natural wines, something that Paradiso is especially excited about. Keep an eye out for this one. Taiwan-born chef Jowett Yu has created one heck of a Hong Kong must-visit with his modern Chinese, Elgin Street restaurant in Central, Ho Lee Fook (say it out loud, you got it). Owned and operated by the team at Black Sheep Restaurants, the name literally translates to "good fortune for your mouth" and is inspired by old school Hong Kong cha chaan tengs (tea restaurants) and late night Chinatown haunts in 1960s New York. Yu's known in Australia for his Tetsuya's training and for co-opening Sydney restaurants Mr Wong and Ms.G's with Eric Koh and Dan Hong. 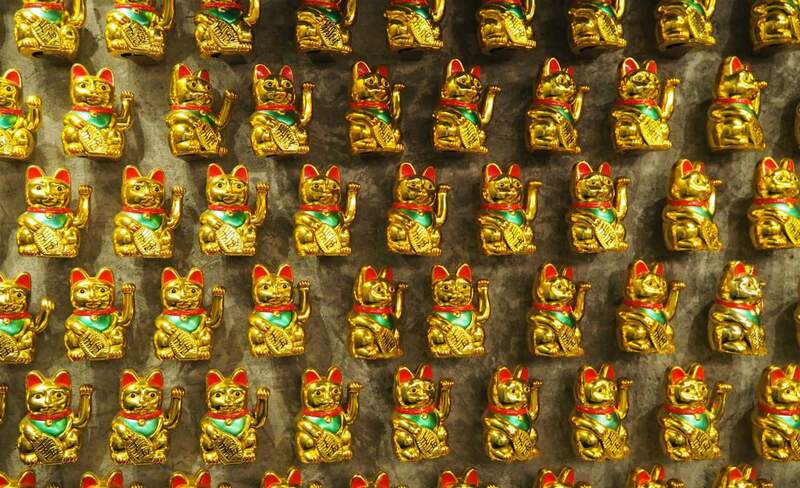 You won't have trouble missing this highly publicised spot — just look for one of the most Instagrammed walls in the city, a clinquant assembly of waving cats. Just try and keep tipsy passersby away from this selfie trap. Downstairs, in his dimly lit, Chinese street art-adorned basement, Yu weaves contemporary Chinese magic through street food staples like French toast (Yu hides peanut butter in his version, and casually serves it with condensed milk ), prawn toast done okonomiyaki-style, and roast wagyu short ribs with jalapeño purée. But it's the roast goose that has foodies aflutter at HLF — order that bad boy 48 hours in advance. Become an Expedia+ member and book your food holiday in the January summer sale— you'll have access to prices that others don't see. By Laura Dawson and Shannon Connellan.